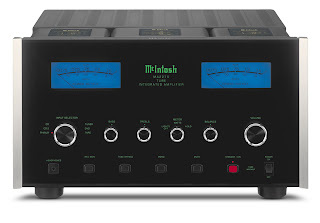 McIntosh MA2275 is the first McIntosh integrated amplifier to rely exclusively on vacuum tubes in all audio circuits. The new attractive design combines classicvacuum tube audio performance with state of the art control technology. A new ultra-low-noise preamp has been engineered for the McIntosh MA2275. Old-fashioned point-to-point wiring, common in vacuum tube designs, has been replaced with glass epoxy printed circuit boards developed through modern computer-aided design techniques. All signal amplification by vacuum tubes. Power Amplifier stage supports 6550 and KT88 Tubes.